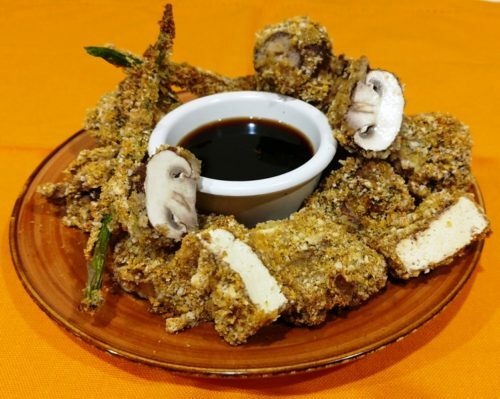 I used to eat a lot of crispy fried foods before I regained my health, and that is one thing I sometimes missed after switching to a whole food, plant-based lifestyle. I thought the days of crunchy French fries, Jo Jo potatoes, and tempura were over. 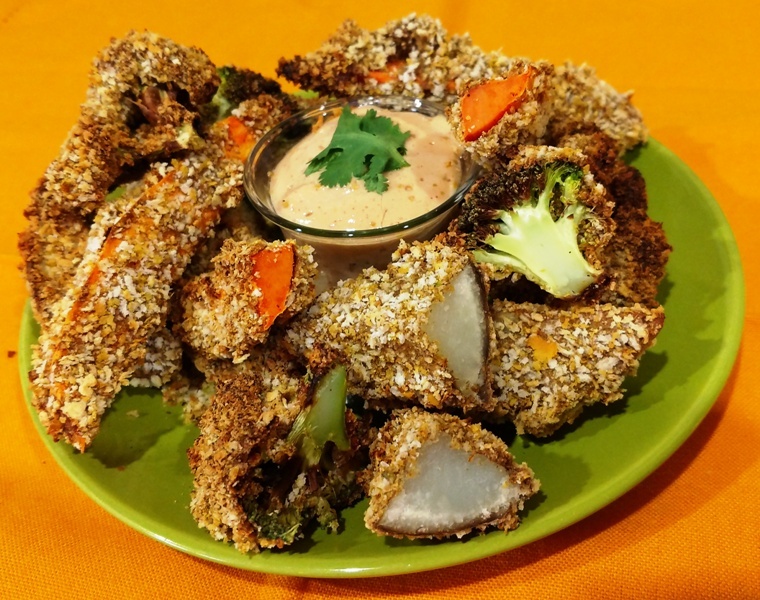 Thankfully, I found out that I was wrong with these amazing air fryer recipes. 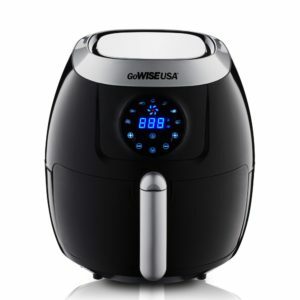 Recently, I emailed GoWise USA and asked them if they would send me one of their air fryers to try out and, if I liked it, I would let students in my Food for Life classes and followers of my blog know about it. Amazingly, they agreed! After a weekend of testing out the air fryer, I am happy to announce that all those crispy fried foods are back in my life only, this time, they have zero oil and won’t be clogging my arteries or causing inflammation in my body. Bring on the air fryer recipes! 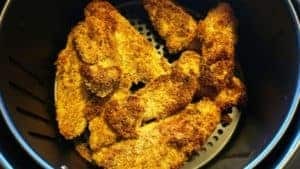 Take a look at some of the amazing air fryer recipes I have been able to create in my new air fryer so far. Jo-Jo potatoes and French fries are come of our favorites! French fries are so simple, because they require no battering. I cooked three medium whole potatoes in my microwave, wrapped in a damp paper towel, for 3-minutes. You can bake your potatoes or cook them on the stove top in water for about 5 minutes, if you prefer, but I do suggest precooking just a little bit. If you don’t, they come out chewy and less crispy. I chose to precook in the microwave because I don’t like to wash extra dishes and didn’t want to wait for potatoes to bake in the oven. After the potatoes are precooked and cooled, slice to the thickness that you prefer. Season with garlic powder, onion powder, and a little salt. Place in the air fryer at 400 degrees for about 25 minutes. 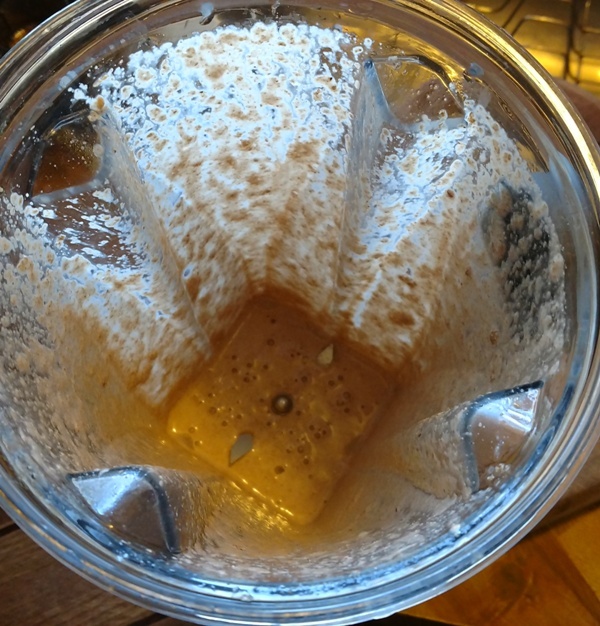 Shake/stir to redistribute halfway through cook cycle. They come out perfectly crispy and are one of my favorite vegan recipes. 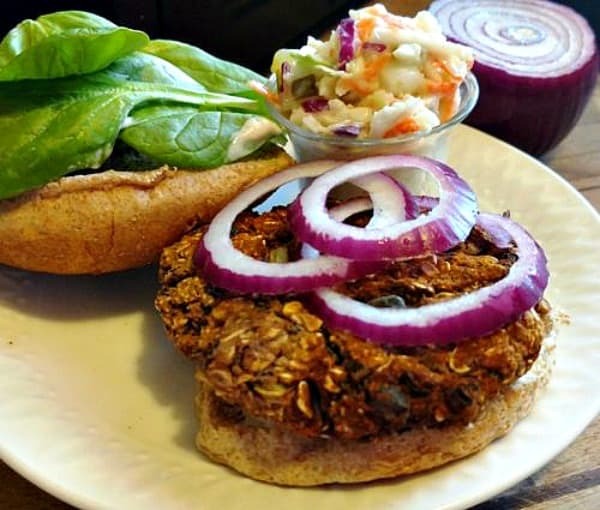 These Black Bean Burgers are so firm they won’t even fall through the grill. Click photo to see recipe. I made Black Bean Burgers using my recipe linked here. After patting them out, place in air fryer and cook at 370 degrees for 15 minutes. That’s all there is to it! 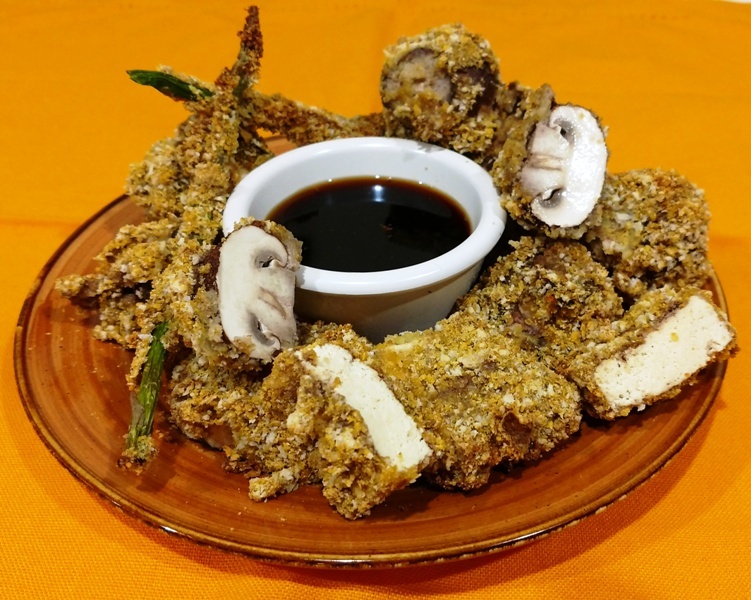 Tempura can be easily be made without oil. Tempura that is so thick and crunchy. Tempura dishes need to be battered. Here are the ingredients and cooking instructions. Place in blender and blend for about 1-minute. The finished product will have an egg-white-type texture that will allow the dry coating to stick well. If you are planning to cook a lot of veggies, you’ll want to double this to have plenty. Place dry ingredients in a large bowl and whisk to mix well. ♦ Slice all vegetables. I did not slice the mushrooms, but left them whole. 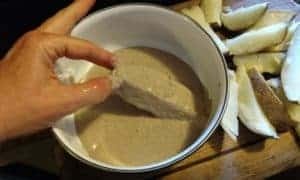 If making tofu, drain and press water out before slicing. ♦ Blend the flax and water to make wet coating. Pour it into a bowl. Flax and water make a great consistency, much like egg whites. ♦ Roll each vegetable (or vegetable slice) in the wet batter to coat well. This batter is thick and sticks easily to the veggies. ♦ Next, drudge the vegetable chunks in the dry coating. 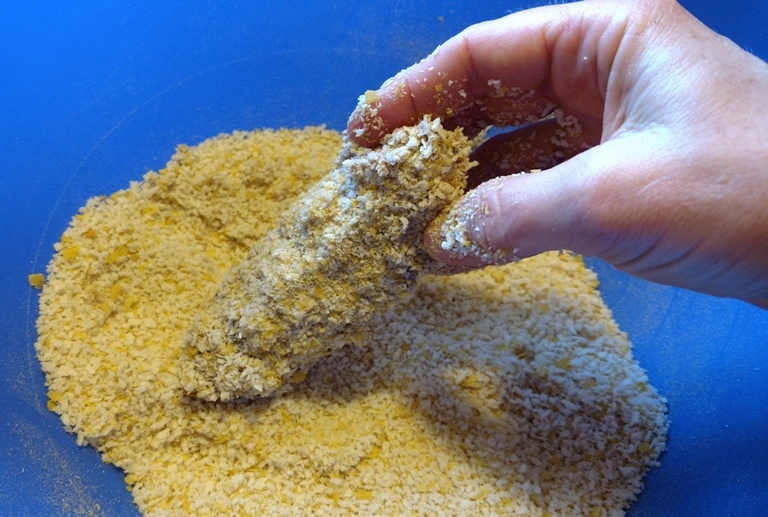 I like to use panko for bread crumbs. 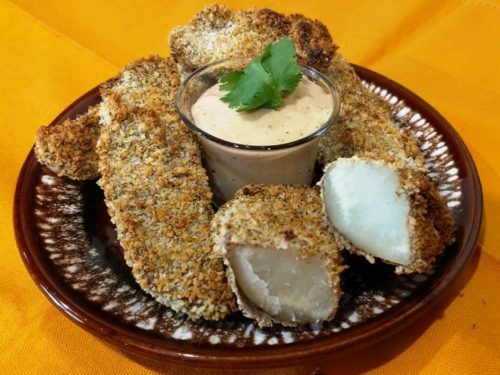 ♦ Place them into the basket of the air fryer, and sprinkle with salt, if desired. My air fryer is 5 quarts and holds a lot. ♦ Set temperature to 400 degrees and timer at the following times. Asparagus, tofu, and broccoli–20 minutes. Whole mushrooms, sweet potatoes, and Jo Jo potatoes–25 minutes. NOTE: the only vegetable that I precooked was the Jo Jo potatoes, just as the French fries were done above. 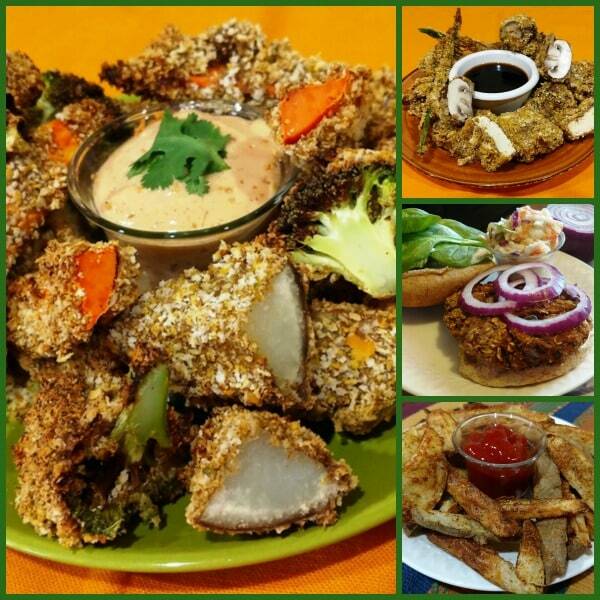 ♦ Once the air fryer timer goes off, leave vegetables in the basket or place on a plate, and allow to cool. They really do get brown and crispy. See how crispy brown they get? Jo-Jo potatoes are a favorite at my house. One of the best things of all about air frying without oil is the clean up. This is what it looks like after cooking all of these dishes. Simply amazing! The sauces I used for dipping are my Asian Sauce and Chipotle Ranch Sauce. I am thrilled to have all these crispy-fried foods back in my life. Only this time, they are working to nourish my body and keep my arteries clear as healthy vegan recipes. 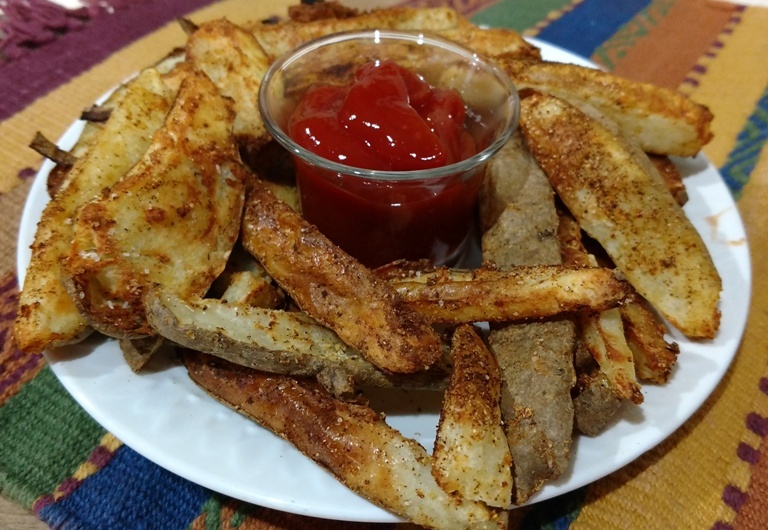 Air fryer recipes are tha’ bomb! Thanks to GoWise for providing me with this product to test out and for the one they gave away to my follower, Gina Bolger from Ada, MI, in a giveaway we did March 2017. It is really an amazing product! 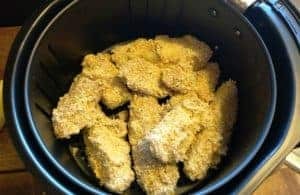 There are even Facebook groups specifically for air frying. 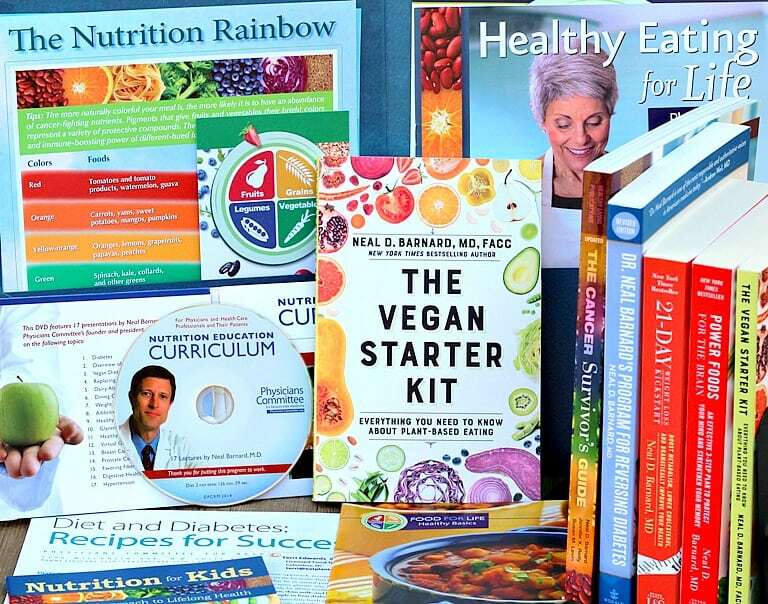 A great one is FatFree Vegan Air Fryers with Susan Voisin. 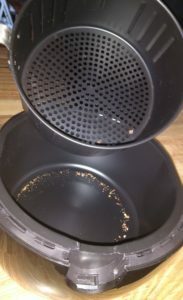 4th Generation GoWise Air Fryer. Click here to view on amazon. Affiliate link. Fries, tempura, burgers, and more! 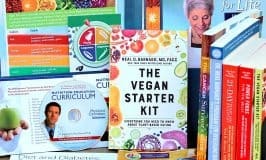 I have been on the”mostly oil free” vegan diet for about 6 months now. I’ve lost 5-10 lbs without changing much else, which has taken my BMI and body fat percentage from overweight to acceptable. I find it easy to replace oil with water when sauteing, but it’s been hard to give up takeout fried foods (falafel, fries, onion rings) once every week or so. I’d love to create those foods in the air fryer to help my oil free journey progress! We are waiting for the winner to respond to an email notification sent yesterday evening. If they don’t get back with us by Sunday at 6 p.m., we will draw another number. As soon as the winner is officially named, the discount code will be posted. By Monday, everything in place. Stay tuned! 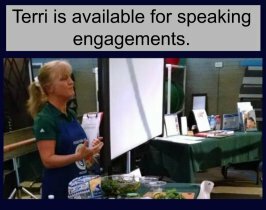 Hey Terrie, I’m sure everyone here would agree, you have done an outstanding job writing this post! 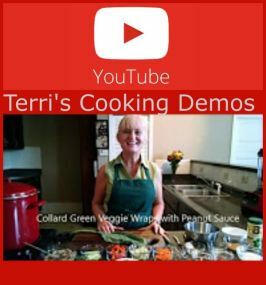 I love cooking with my air fryer – everything is so easy and the most important – healthy!! !